Glauce was the daughter of King Creon. Medea kills her out of jealousy when Jason leaves her to further his political career. She is woman of power, wealth and beauty. The Glauce Greek theatre mask is one of pride, love, desire and strength. the counter mask presents strong poetic dimension adding to the impact of the tragedy. 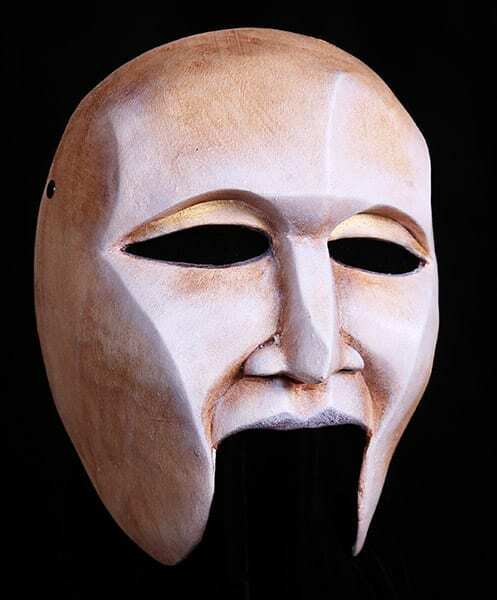 Ask for custom paint treatments if you are not interested in the bone was that the Greek theater masks are offered in.